Sally Murray formerly managed the IGC Rwanda’s Cities portfolio, and was also Senior Country Economist. She has previously managed the IGC Rwanda’s research into tax policy and administration, public sector performance, and energy. 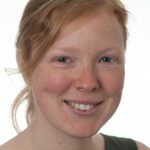 Before moving to Rwanda in 2014, Sally worked as Country Economist for the IGC in South Sudan, and as Research Manager at the Centre for Effective Altruism. She holds a BA in Philosophy, Politics, and Economics from Balliol College, Oxford, and an MSc in Development Studies Research (with Distinction) from the LSE. Her research interests are in urbanisation, tourism, education, and the role of technology in development. Kigali should be an engine of growth and poverty reduction for Rwanda. But just 1,000 formal houses are built there each year, and most are too expensive for the majority low-income citizens. How can the government breathe life into the city’s low income housing market?